New York State’s Freedom of Information Law (Public Officers Law §87 et. seq.) allows members of the public to access records of governmental agencies. FOIL provides a process for the review and copying of an agency’s records. FOIL requests can be submitted online from the Ontario County’s website, by mail, or people may complete a form in person. Forms may be found at the Board of Supervisors’ office and at Records and Archives Department. For a current subject matter list that describes the records maintained by Ontario County please proceed to the document here. This list does not imply that all records are available to the public. All government records are subject to the exemptions stipulated in the Freedom of Information Law. The law defines "record" as "any information kept, held, filed, produced or reproduced by, with or for an agency or the State Legislature, in any physical form whatsoever. . ." (Section 86(4)). This would include various media types such as tape or voice recordings, microfilm, video, and computer discs. An agency is not required to create a new record or provide information in response to questions to comply with the law. However, the courts have held that an agency must provide records in the form requested if it has the ability to do so. For instance, if records are accessible on paper or on a computer tape or disk, the public may choose to obtain them either way. Exemptions include items that may put personal privacy or state or national security at risk, or may hinder an open investigation. Ontario County must acknowledge your request within 5 business days and provide you with an approximate date by which they may respond to your request. If your request has not been reasonably described, the Freedom of Information Access Officer may contact you and request that you clarify your request. The full text of the New York State Freedom of Information Law can be found here. Records are available for inspection at no cost to the public. Requests for inspection must be in writing and addressed to the Records Access Officer via regular or electronic mail or facsimile. The Records Access Officer will acknowledge receipt and provide the requester with the staff person's name, title, and phone number to schedule an appointment at a mutually convenient date and time for inspection. Records or portions thereof which are prohibited from disclosure pursuant to FOIL will be redacted or omitted; the requester will be notified of the reason(s) for the redaction(s) and of the procedures to appeal. The FOIL also provides a process to appeal the denial of a request. Any person denied access to a record may within thirty days appeal in writing to the Chairman of the Ontario County Board of Supervisors. If the agency denies or does not determine the appeal within 10 days, you may initiate further judicial proceedings to challenge the denial of access. Under FOIL (Public Officers Law §87 [b] [iii]) there is a permitted fee of $0.25 per page for duplication of records. There is no provision in law or regulation for waiver of this fee. 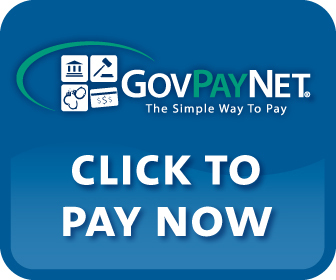 Payment should not be submitted until you are notified that your request is granted and informed of the charge for your request. Copies of records must be made available on request. Except when a different fee is prescribed by statute, an agency may not charge for inspection, certification or search for records, or charge in excess of 25 cents per photocopy up to 9 by 14 inches (section 87(1) (b) (iii)). Fees for copies of other records may be charged based upon the actual cost of reproduction. Once you have received your fee quote for copies, you have the option to pay with any of the following credit cards using our online payment system. More information about the Freedom of Information Law can be found here.